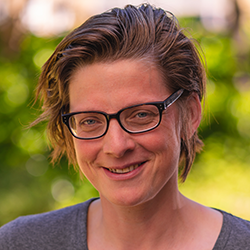 Clare Shaw has three poetry collections from Bloodaxe: Straight Ahead (2006), which attracted a Forward Prize Highly Commended for Best Single Poem; and Head On (2012), which is, according to the Times Literary Supplement ‘fierce … memorable and visceral’. Her third collection, Flood, was published in June 2018. Clare’s most recent collection – Flood – offers an eye-witness account of the floods of 2013 and 2015. Acting as a powerful metaphor for wider experiences, flood runs through the book in different forms – bereavement and trauma, the Savile scandal, life in an asylum. Ultimately, this is a story of one life as it is unravelled and rebuilt, written from the heart and from the North, in a language as dangerous and sustaining as water. ‘As a reader you cannot expect an easy time with Clare Shaw. She deals with the big subjects, war and conflict, violence and violation but also the subtler themes of language as a means of expression, identity and the difficulties of motherhood. She takes us to places we may be reluctant to go but more importantly she fixes her gaze on us and demands our attention and our involvement’ (James Carruth, The North).